A lot of great reviews were written about this awesome tour together. Yet I wanted to express my personal feelings and share my own stories about this tour. 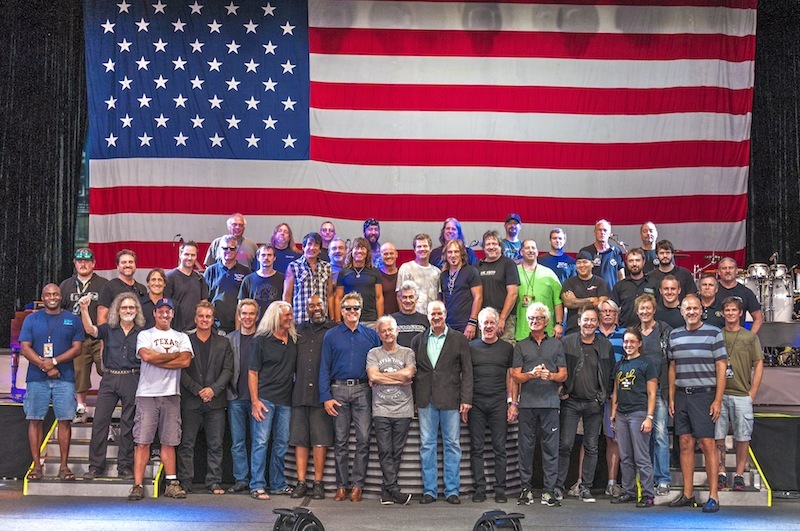 Since the first day of rehearsals in Concord, CA, I'd felt like I'd known REO for a lifetime. The friendship, respect and unity I felt was so strong that by the time we played our first show together it was a party from there onwards! Kevin Cronin, Dave Amato, Bruce Hall, Bryan Hitt and Neal Doughty are the most down to earth, friendly "rock stars" you will ever meet. REO would come early to the venue to warm up and by the time Chicago got there, we would join them and hang out together at catering laughing and having a good time. 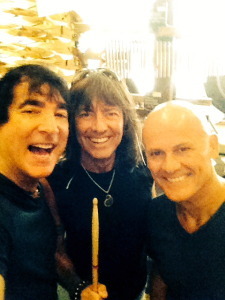 Tris Imboden and I would join Bryan Hitt and always exchange ideas, drum info, and fun "Beats, Licks & Tips" with each other. REO would do their show, then Chicago would do theirs. For the encore both bands would play together three REO songs and three Chicago songs. Playing percussion next to Bryan and Tris was the most fun, rockin' experience a musician can have. Also, Bryan's drum tech is drum expert and renowned drum historian, John Aldridge, who founded Not so Modern Drummer. Talking drum history with John is like going to music school. 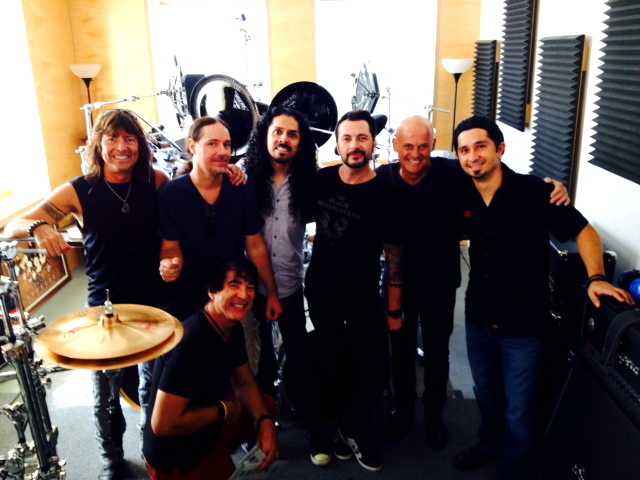 When the tour arrived in the city of Chicago, Bryan was invited to go to Vic's Drum Shop, one of the most - if not THE most - extraordinary drum shops in the world - and he invited Tris and I to come along! We got a tour of the shop which was amazing; my jaw dropped many times with all the gear I saw. They literally have everything pertaining to drums and percussion, and if they don't have it, they will find it for you. What a great day! The tour was going so well - too good to be true. Kevin Cronin suddenly pulled his calf muscle and we finished the few last tour dates with him in a cast, singing while seated on a stool on stage. Like a true rocker, the show must go on! Laughlin, NV was our last show of the year and Chicago will be missing these wonderful guys. Hearing REO sing and play Chicago songs, and hearing Chicago sing and play REO songs was a unique, pleasurable, once in a lifetime experience. I truly had the best seat in the house (no wait, I play standing up all night)! My wish is that we can do this again in the near future. What do you think? © 2014 Walfredo Reyes Jr. - All rights reserved.